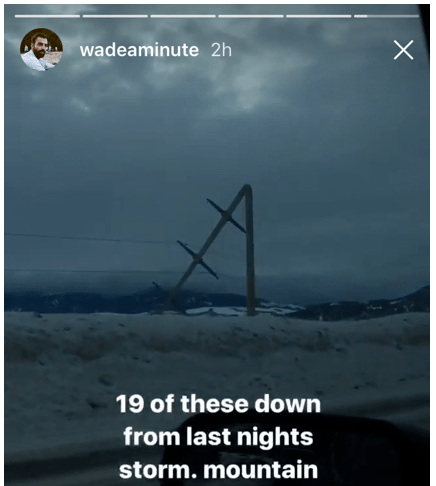 Jackson Hole ski resort in Wyoming is closed today and may remain closed for up to 7 days due to many power poles (we’re hearing 90+mph winds snapped 19 power poles) going down in Teton Village last night. Teton Pass, WY has been closed since yesterday and remains closed at the time of this writing (11am MST). Temperatures were warm yesterday afternoon and winds were high. It was raining at the resort beginning at 5pm and rain lightly in Jackson, WY through the night last night. 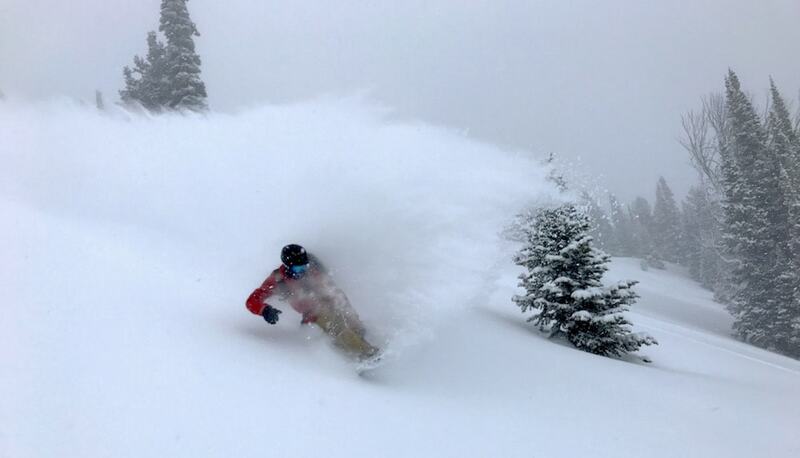 The skiing at Jackson Hole was simply unreal yesterday. After receiving updates throughout the day from Lower Valley Energy and assessing resources in Teton Village, JHMR is unable to re-open for the weekend, and the earliest targeted open date at this time is Monday, February 13th. Safety is the first concern, and JHMR is asking for only specific operational staff to come to Teton Village through the weekend. There is also the request for no unnecessary travel to Teton Village through the weekend as another winter storm approaches. Currently Lower Valley Energy has crews working around the clock to reconstruct the power poles. JHMR would like to remind locals that there is no uphill travel at this time, and JHMR is seriously enforcing this policy and asks everyone to stay off the mountain during this incident. The Ticket Office will not open today for refunds, guests are asked to keep tickets and refunds will be managed as soon as possible. JHMR will continue to update with information as it is available on jacksonhole.com and on social media channels. Airline partners, United Airlines, Delta and American Airlines, due to winter weather impacts, they are issuing travel wavers for customers in Jackson Hole. Please contact your airline for details. Due to a massive wind storm last night, a significant number of power poles along Highway 390 were blown down, causing Teton Village to lose power. This power outage is being addressed by Lower Valley Energy, but the significance of this damage will be impacting Teton Village for up to seven days. 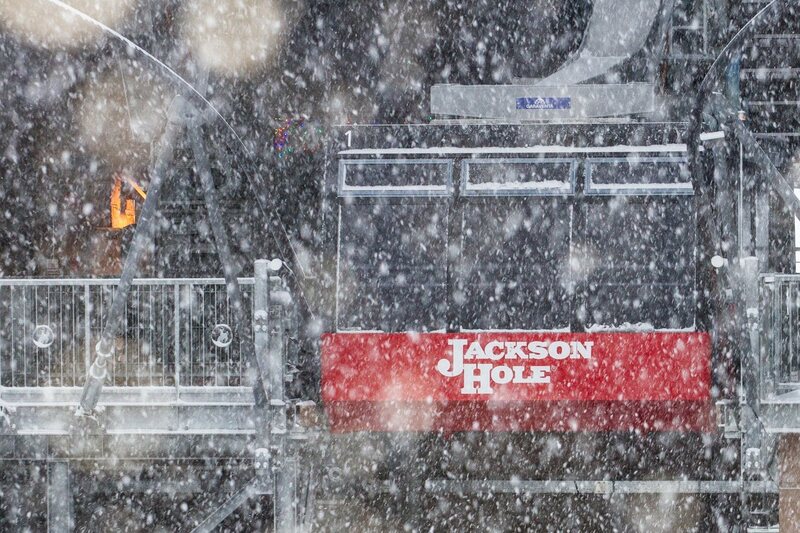 Jackson Hole Mountain Resort (JHMR) will not be operating until further notice. All events scheduled for this week and weekend will be canceled, specifically Skijoring and Special Olympics. Teton Village Fire Department will be providing emergency services throughout this incident, and will be updating hotels and businesses as information comes in. The Jackson Hole Chamber of Commerce and Jackson Hole Central Reservation will be assisting with lodging and travel options for displaced guests.